The picture on this post is from my trip to Israel earlier this year. It’s from En Gedi, an oasis in the the desert, near the Dead, Masada, and the caves where the Dead Sea Scrolls were found. 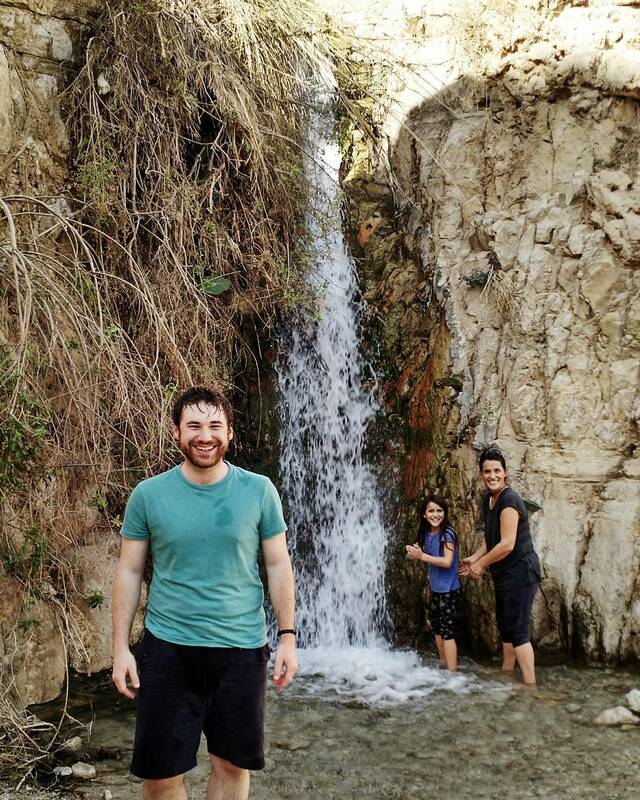 It is literally a random spring in the middle of the vast Israel wilderness. I thought of this image as I was listening to a recent episode of The Liturgists podcast on suffering. They offered interviews, art, music, and poetry about the pain and injustice which exist on a global scale. They lamented that many such programs leave us with no ability to do something in response. But they offered a way. They interviewed the founder of Charity: Water, a non-profit that focuses on delivering sustainable clean water wells in underserved parts of the world. One of the best ways they have found to raise money is to ask others to donate their birthdays to Charity: Water. Instead of getting gifts, people would encourage others to give that gift-money to Charity: Water. So that’s what I’m doing for my 31st birthday on December 20th. I hope we can do a lot more, but at a minimum, I’d love to try and get clean water to one person for each year of my life. $950 would provide clean drinking water to 31 people. (But I bet we can do more!) After the campaign is done, and the work is complete, Charity: Water will even send us GPS coordinates and photos of the actual people our money helped. And Charity: Water is amazing. All their operating and administrative costs are covered by outside foundations and donors, meaning that 100% of all donations go straight to work on the field. (See their work here) It also happens to be the organization my church works with for our annual Easter giving campaign. Give generously. Give repeatedly. And share with others (Facebook / Twitter). People don’t need to know me or care about my birthday. They just need to care about making the world a little better of a place. They just need to be people who, in the wilderness and desert of this world, love to see places of oasis, rest, and healing come to hurting, thirsty places. Let’s do this. May God bless this greatly! !